I've surrendered to blog-dom. 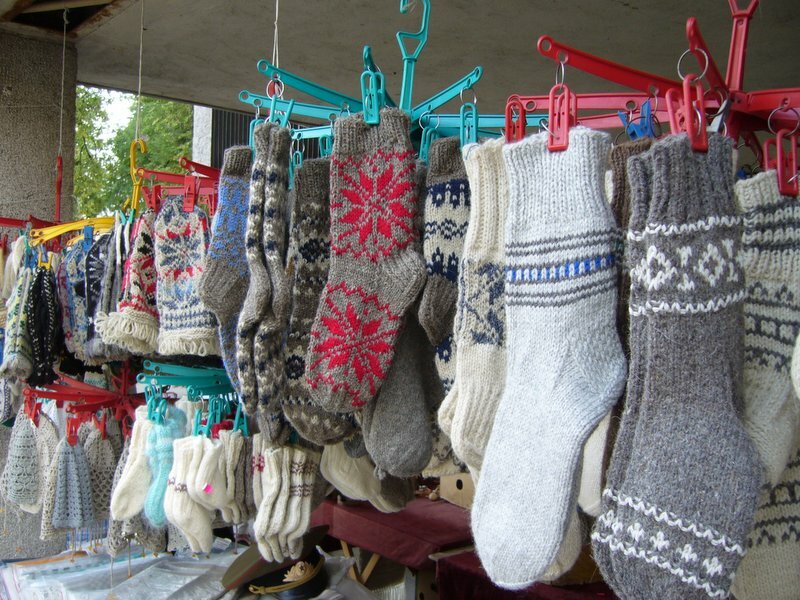 I enjoy many other knitters' blogs. I created a travel blog for family and friends on recent travels to Riga, Vilnius and Prague. So now, I have my own knitting blog. 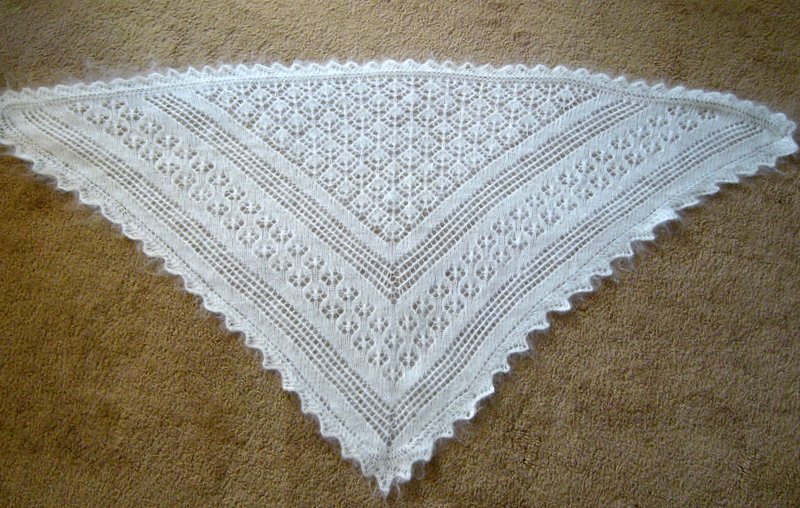 But my first photos will not be my work, but some shawls I bought from Liudmila in Vilnius. 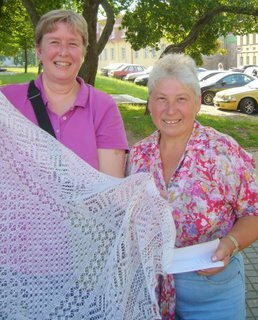 Liudmila, who is Russian and does not speak English and not much Lithuanian, sells hand-knit and machine-knit (clearly labeled) shawls from a table in the outdoor market that lines the main street that runs between the cathedral and Town Hall in central Vilnius. 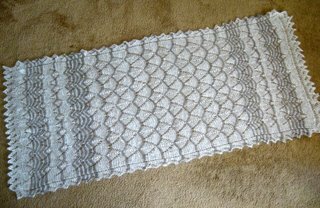 She knits some shawls herself and has a coterie of Russian knitters. She has pictures of goats, which suggests to me that the yarn is mohair but I know neither the Russian nor Lithuanian word for mohair. 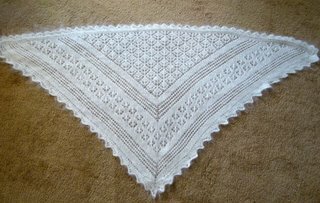 Liudmila knit the triangle shawl and someone else knit the stole. 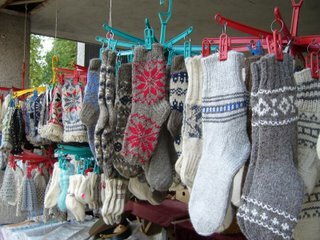 The Vilnius market also offers myriad knitted socks, mittens and hats. 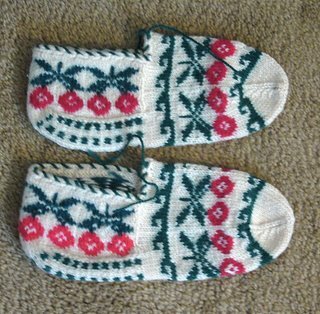 My friend Ferdane gave me some beautiful slippers from Turkey. What's interesting to me is the similarities between Turkish and Scandinavian designs. 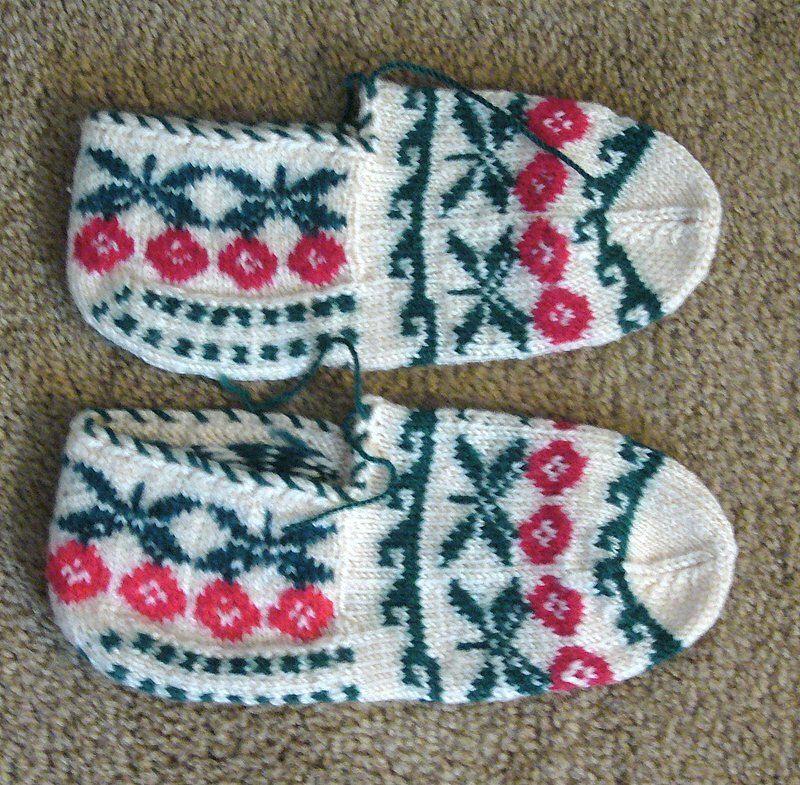 My next post may include some of my own knitting. The lace is amazing! 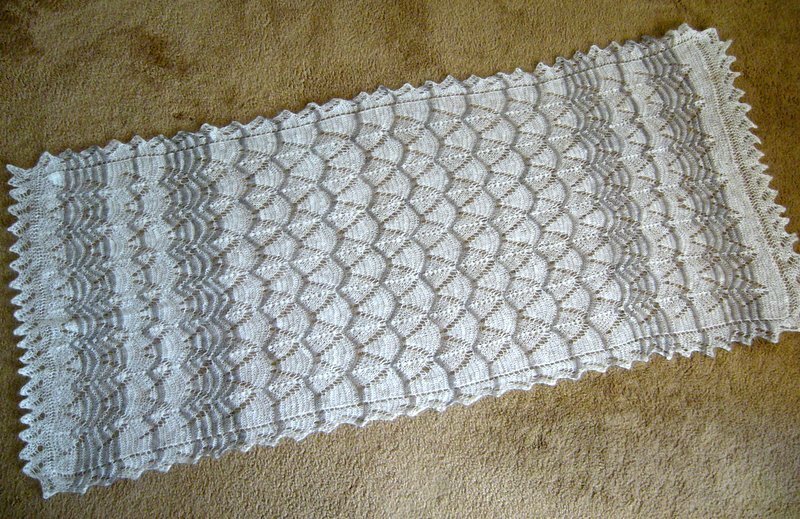 I am always so fascinated with intricate laces knitting, since my attempts are less than stellar. And I love the Turkish slippers! I can't wait to see some of your stuff.